The Barry King Collection is a collection of mainly Derbyshire-related material dating from the period 1957 to 1965, kindly donated by Barry's family to the British Caving Library. 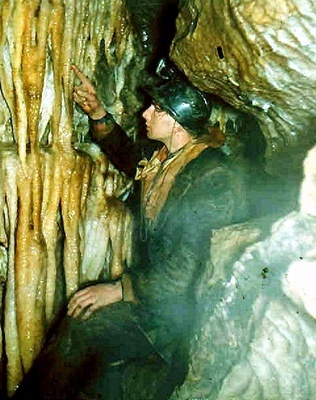 Barry King was born around 1939 and started caving in about 1955. He was an active member of the BSA North Midlands Group until 1967 caving with, amongst others, Les Salmon, Bob Toogood, Ralph Johnson, and Mike Clarke. He was particularly active in Carleswark Cavern, and was the author of the definitive article and survey of Carleswark Cavern in Cave Science, Vol. 4, No. 32, 1962, pp. 337-383. Barry died in 2010. Photocopies of OS maps of caving areas referred to (6 sides). Copies of printed surveys of caves explored (3 surveys). Hand drawn original surveys of caves explored (7 sides). 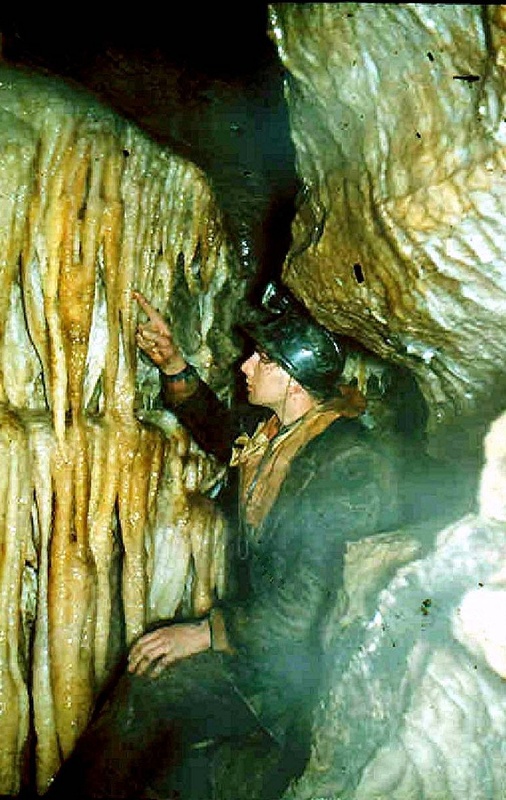 Colour photos of caves and cavers - mainly Peak District (15 sides). A transcribed typescript diary of caving explorations undertaken from May, 1957 to 22 May 1965 (90 sides). His account of his explorations in Carlswark Cavern and Duce Cave are particularly important. A PDF version of his diary may be found here. Correspondence with and copies of articles and surveys sent by Eli Simpson, Les Salmon and A. Leslie Pill relating to various caves in the Peak District (35 items). A number of press cuttings of two rescues, one of which is that of Neil Moss in Peak Cavern. Various large size maps and surveys of historical interest from various	sources, some printed and some copies of original hand-drawn surveys (8 items). A CD-R titled 'Barry King Caving Photos', created 11 July 2015. It contains sets of photos of cavers in Carleswark Cavern, Coombs Dale, Duce Hole, Giant's Hole, Jackpot, Peak Cavern, Stump Cross Caverns, Hunt Pot, Nettle Pot, Maskhill Mine and Oxlow Cavern, separated into folders by name of cave, with each photo given an explanatory title.